Home » Resources » Taser! 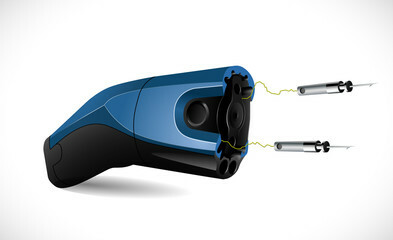 Some British police officers have a new weapon to help them to arrest dangerous criminals - the stun gun, or Taser ®. It briefly paralyses the victim, but usually has no after effects. Children work out how Tasers work, in the context of Wonder Woman learning how to use it. It reinforces ideas about complete circuits, conductors and insulators in a new and exciting context. - Plastics are poor conductors of electricity. - Metals and nerves in the body are good conductors of electricity.